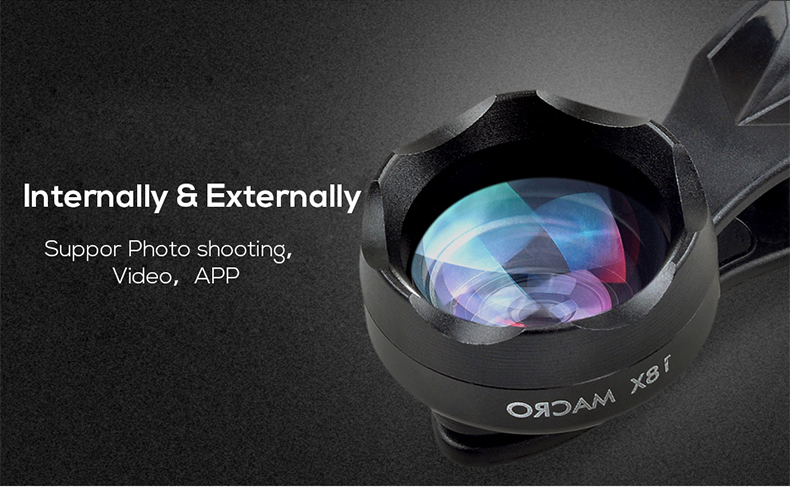 With the 18x Super Macro lens, you can take pictures of a tiny object clearly in detail, like the insets, flower and so on. 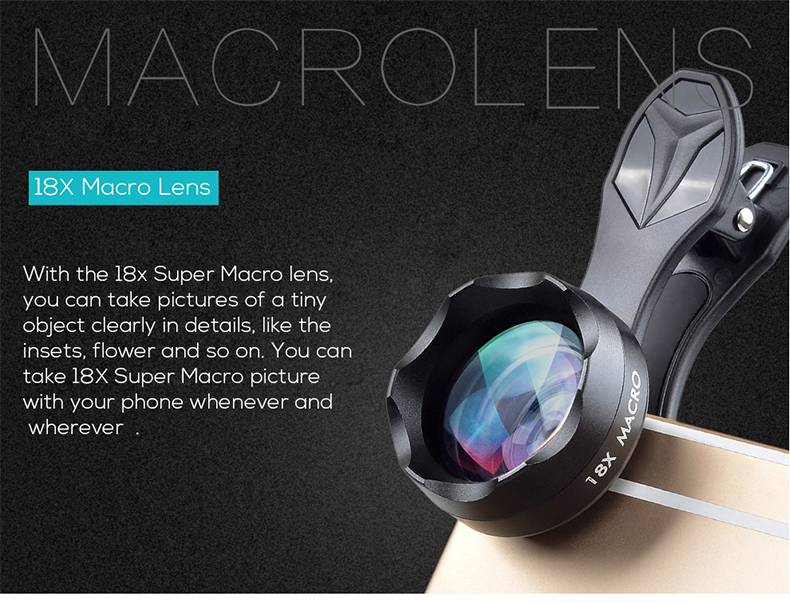 You can take 18X Super Macro picture with your phone whenever and wherever. 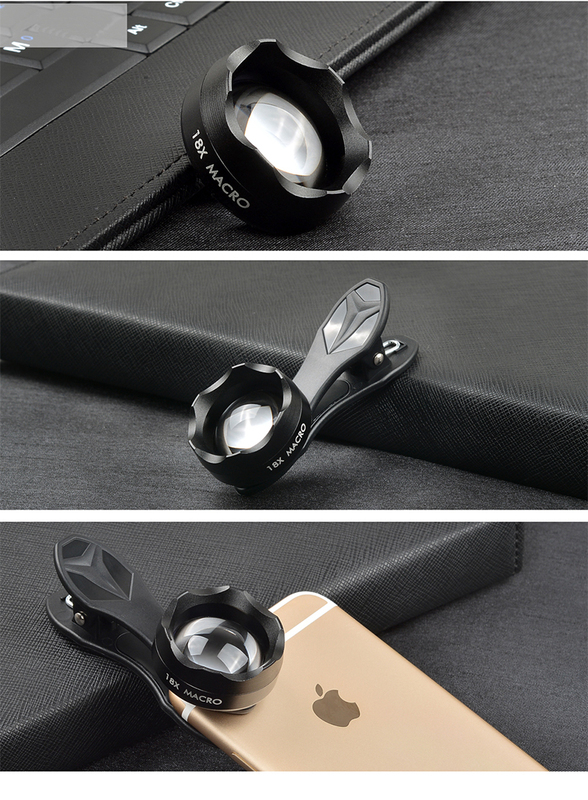 The universal detachable clip works with most smartphones and tablets in the market, so firm and flexible, and the soft rubber inside can protect your phone from scraches. 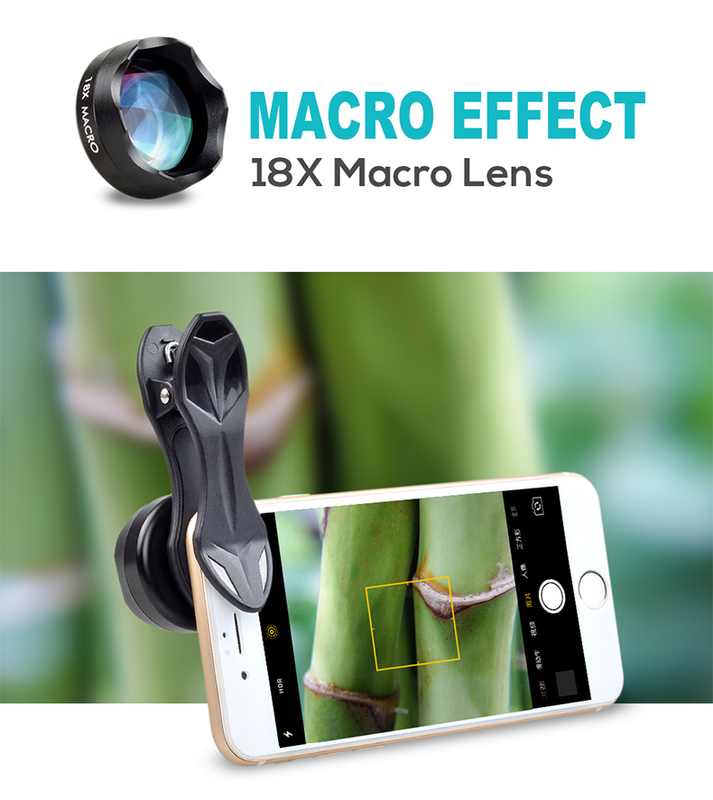 you must get close to the item you want to shoot when using the macro lens, about 1.5-3cm, so that you will get a clear shot.